Over the last couple of weeks, our buddy MrPicolas convinced us to give GO Launcher EX a shot at becoming our next home replacement app. Since then, we have actually enjoyed the heck out of it and have yet to switch back to ADW or LauncherPro. While it may lack some of our favorite icon packs from ADW, there are a variety of incredibly polished themes to choose from, along with enough customizations to make even the most accomplished home screen addicts drool. In today’s update, those customizations became even more robust with the addition of 8 new app drawer transitions. If you are not familiar with GO Launcher EX or what a fancy transition looks like in your app drawer, we have attached a quick screencast for you below. 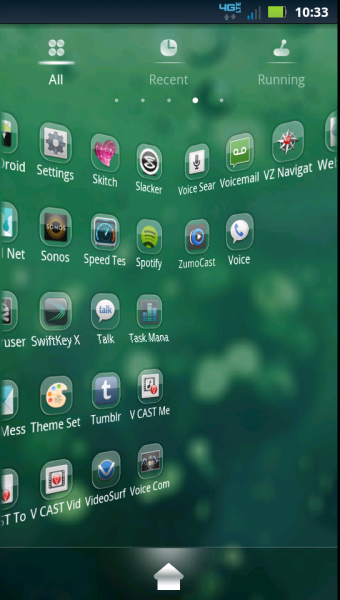 If you are wondering what my setup is, I’m using the Oreo Slice Wallpaper pack and the Clee 2 GO Launcher theme.